Civil War nurses were tough as nails, risking danger near the battlefield and fighting to keep their patients alive! 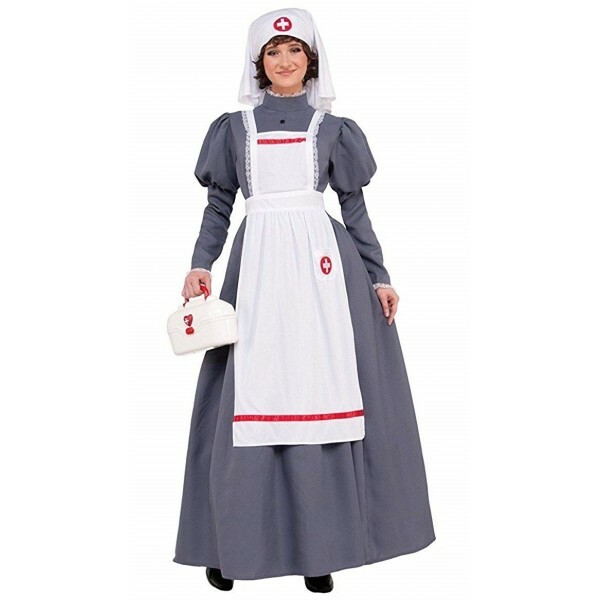 With this costume from Forum Novelties, you can pay tribute to their dedication. 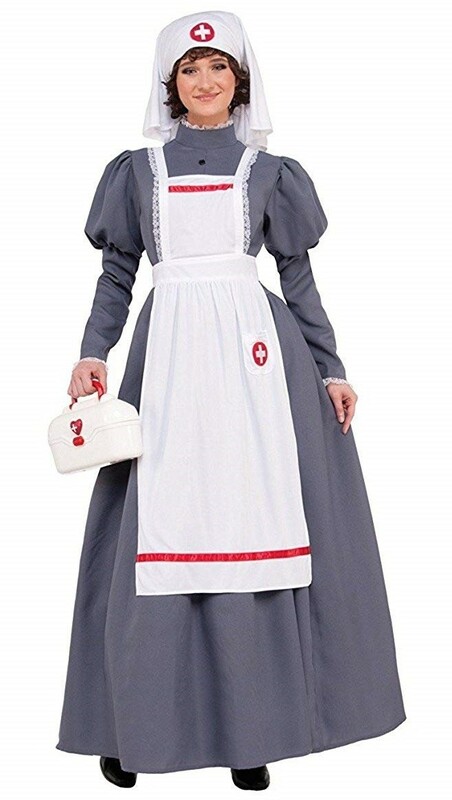 This costume set includes a long grey dress with puffed sleeves, a white apron with red trim, and a white headpiece. Please note: other accessories not included.